21 November 1914-24 January 1915: Entered Army service as a War Volunteer in the II. Replacement Battalion of the 2. Garde-Fußartillerie-Regiment. 24 January 1915-19 February 1915: Transferred to the 1st Battery of the 2nd Guard Foot Artillery Regiment. 19 February 1915-31 July 1915: Transferred to the Light Munitions Section of the 2nd Guard Foot Artillery Regiment. 31 July 1915-26 October 1916: Transferred to the 273rd Foot Artillery Battery. 26 October 1916-16 December 1917: Transferred to the 10th Artillery Measurement Troop. 16 December 1917-15 November 1918: Transferred to the Replacement Battalion of Lothringisches Fußartillerie-Regiment Nr. 16. 15 November 1918-10 June 1919: Regimental Adjutant of Foot Artillery Regiment 16. 10 June 1919: Separated from the Army at Hamburg. 13 May 1936-19 May 1936: Selection Exercise with Observation Battalion 3, Jüterbog. 2 July 1936-30 September 1936: Supplemental Officer Aspirant with Observation Battalion 3 and Observation Battalion 20 to perform service tests. 1 October 1936-12 October 1937: Named a Supplemental Officer, later employed in the Staff of Observation Battalion 20. 2 January 1937: Named to the Active Officer Corps. 11 February 1938-24 February 1938: Course for Officers of the Artillery Observation Troop. 6 June 1939-30 June 1939: Detached to the Course for Artillery Observers. 21 November 1941-30 March 1943: Course Director in the Teaching Staff B at the Artillery School II, Jüterbog. 29 June 1942-31 July 1942: Course for Regimental Commanders at Artillery School I, Berlin. 30 March 1943-17 May 1943: Commander of the II. Battalion of Artillery Regiment 25 (Motorized) of the 25th Infantry Division (Motorized) on the Eastern Front. 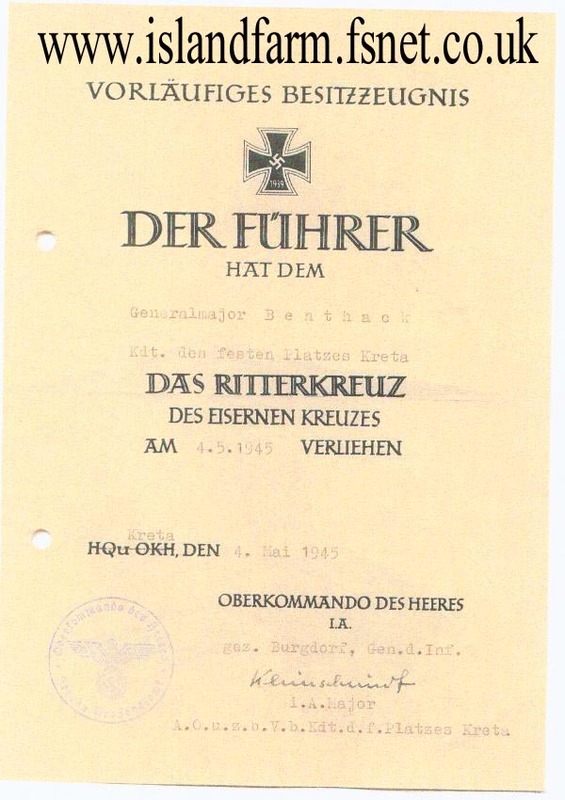 17 May 1943-15 August 1943: Führer Reserve in the Army High Command – rendered service to the Commander of Wehrkreis [Military District] X, Hamburg. 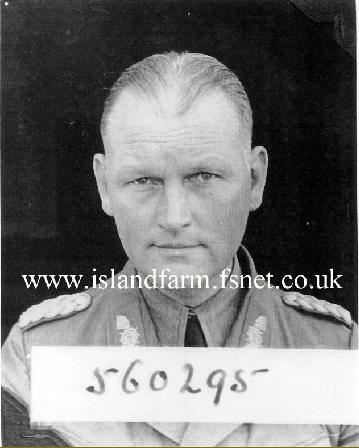 15 August 1943- 1 December 1943: Commander of Artillery Regiment 619 of Fortress Brigade “Kreta.”. 1 December 1943-9 October 1944: Fortress Artillery Commander Crete under the Fortress Commandant of Crete (Luftwaffe Generalleutnant Bruno Bräuer; General der Infanterie Friedrich-Wilhelm Müller from 1 July 1944). 9 October 1944-1 December 1944: Delegated with the post of Commandant of Fortress Crete and, at the same time, delegated with the leadership of Fortress Division 133. 1 December 1944-18 January 1945: Commander of Fortress Division 133. 9 May 1945-June 1945: Remained in command of his fully armed division under British authority. June 1945-May 1948: Prisoner of war in British captivity. 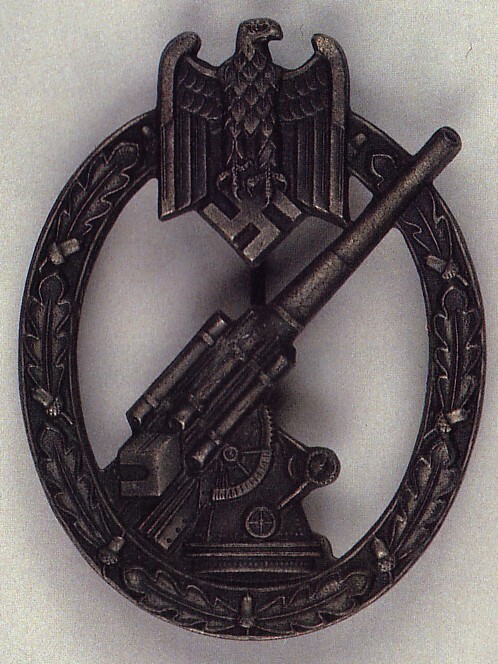 Prussian Iron Cross, 1st Class (1914): 4 May 1919. Prussian Iron Cross, 2nd Class (1914): 27 May 1917. 1939 Bar to the Prussian Iron Cross, 1st Class: 5 June 1940. 1939 Bar to the Prussian Iron Cross, 2nd Class: 3 October 1939. Hamburg Hanseatic Cross: 20 July 1916. Cross of Honor for Combatants 1914-1918: 20 November 1934. Armed Forces Long Service Award, 4th Class (4-year Service Medal): 1 April 1937. 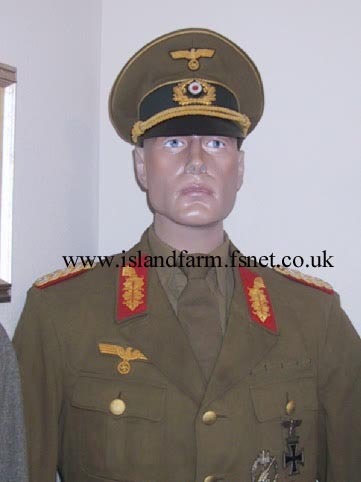 Generalmajor Georg Benthack’s Army Tropical Field Service Uniform as seen in a private collection. Note the rarely seen Army Flak Badge on the left pocket next to the Prussian Iron Cross, 1st Class (1914) with 1939 Bar. Several varieties of this uniform were worn by German troops in North Africa, southern Russia, the Balkans, Italy and other Mediterranean coastal areas.